One of the 4 key drivers of engagement, trust is a huge topic with many different aspects. 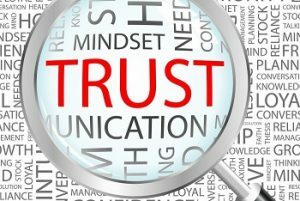 When it comes to trust, employees need to trust their line-manager. Without trust it will be difficult to build any sort of meaningful relationship. Gaining levels of trust can be the foundation for relationships and organisations to thrive. For managers and leaders to be trusted research shows that they need to demonstrate the key characteristics of any trustee, namely: Compassion, Competence & Character. EngageNE: Can you engage your employees without TRUST? EngageNE is a collaborative network led by 3P and People Gauge to bring the Engage for Success movement to North East England. Both businesses are Regional Ambassadors for Engage for Success and came together in December 2016 to create the network. By working in partnership the two companies are combining their skills, experience and networks to bring together and help to educate businesses to build engaged, productive and aligned workforces and to foster cross-sector collaboration and best practice-sharing across North East England. Created in December 2016, the network meets every quarter, and currently has around 80 north-east businesses involved from self-employed consultants to major players such as Utilitywise, Northumbrian Water, colleges and universities, and the NHS. At previous events we have been delighted to welcome several guest speakers including Cathy Brown, Executive Director for Engage for Success, and Sharon Hodgson MP. Engage for Success is a voluntary movement which was launched by former Prime Minister David Cameron in 2011 with sponsorship from senior chief executives across the private and public sector, specifically to raise awareness and understanding of engagement in the workplace.